Designed specifically for the printing of hollow plastic bottle design independent feeder, efficient printing, and other containers can be converted mold printing, simple operation, save a lot of manpower to provide complete solutions for the plant productivity is low. 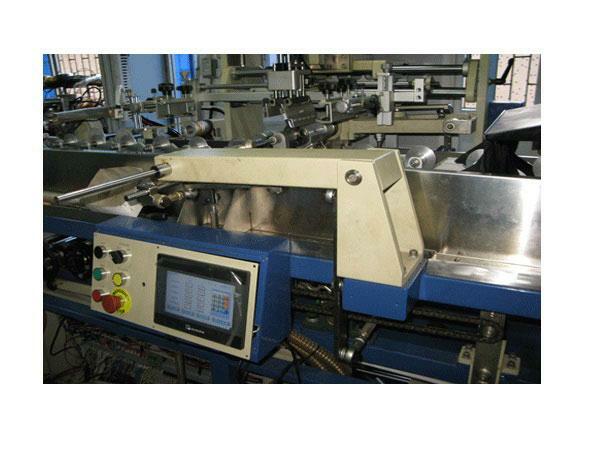 Market fully automatic screen printing machine in bottles all the connection type screen printing system, bottle finished the first color, into the second printing unit to the second color screen printing. Tolerance in the length direction, the type of screen printing machine can do a 5-color to six colors. Some have smooth sides of the cap. Designed for circular and elliptical to describe the device's screen printing and design, simple structure, convenient debugging, stable and dependable. Online UV curing systems, import UV device, excellent curing speed and quality, greatly improve the efficiency of printing; printing speed 3600pcs/h. Electronic sensors to achieve "no printing", the pressure is too low, automatic monitoring of the alarm and other functions.